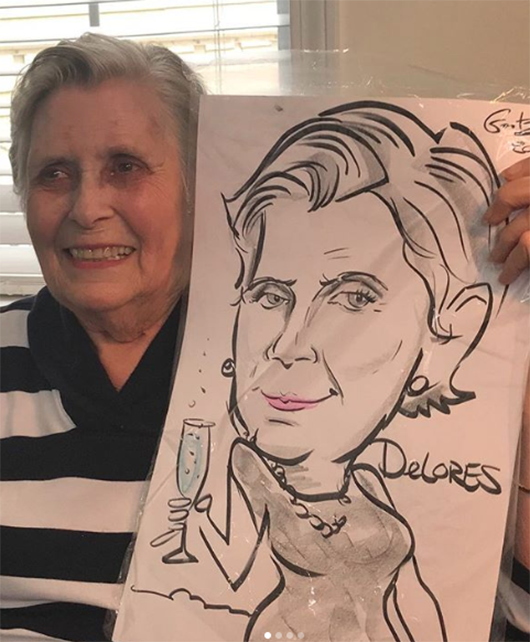 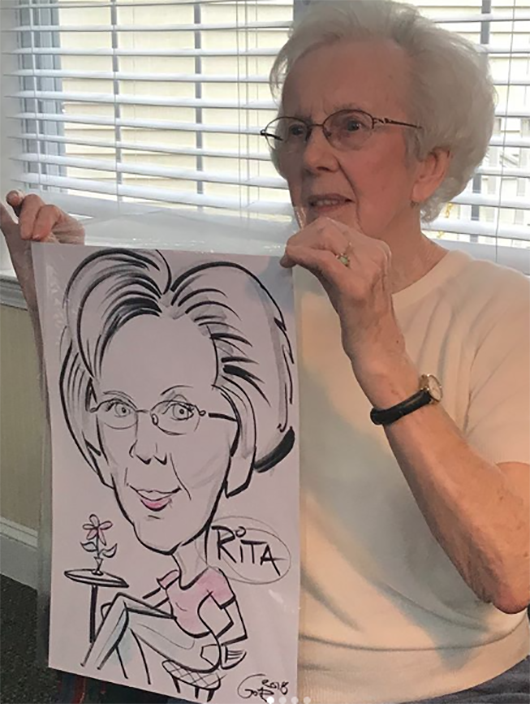 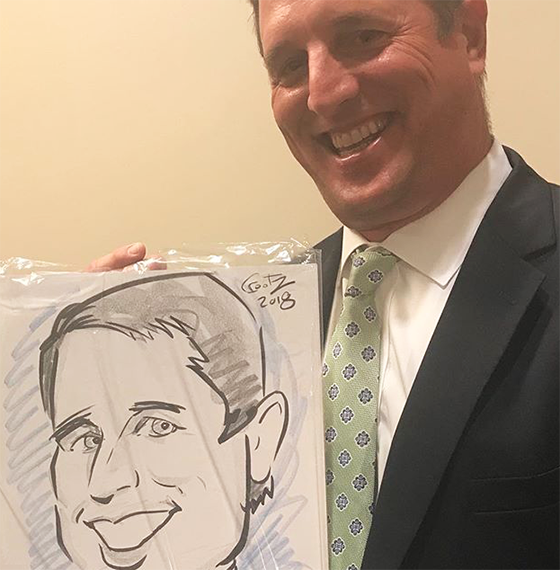 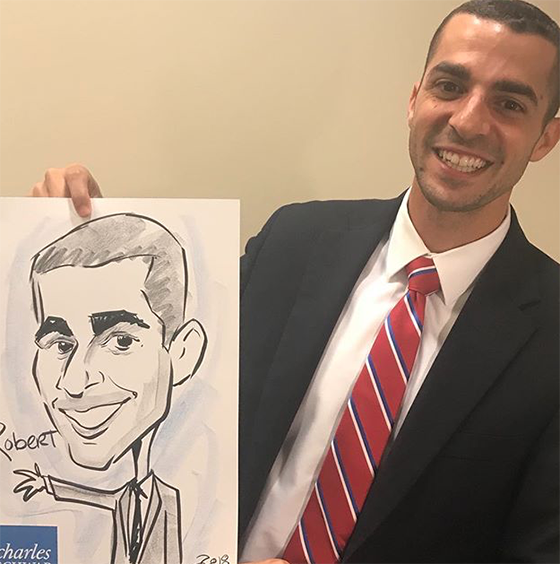 Mark drew live classic caricatures to celebrate Assisted Living Week at senior living community, Meadow Glen, in Leesburg, Virginia. 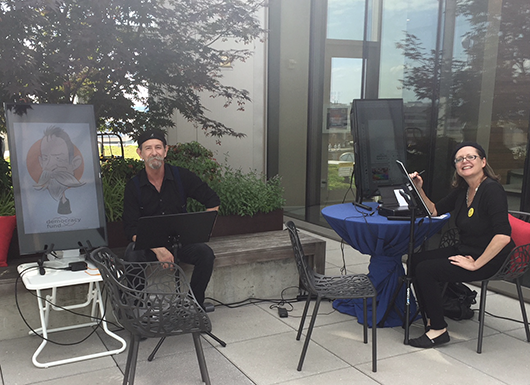 A great gig working at the Baltimore Hilton! 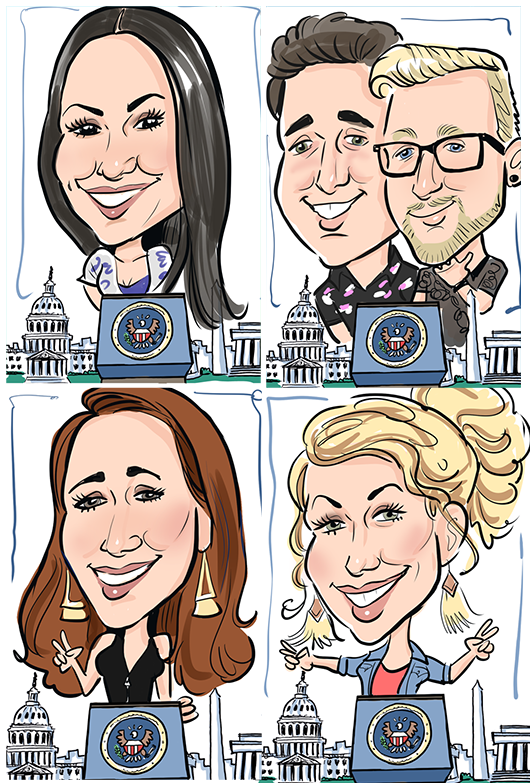 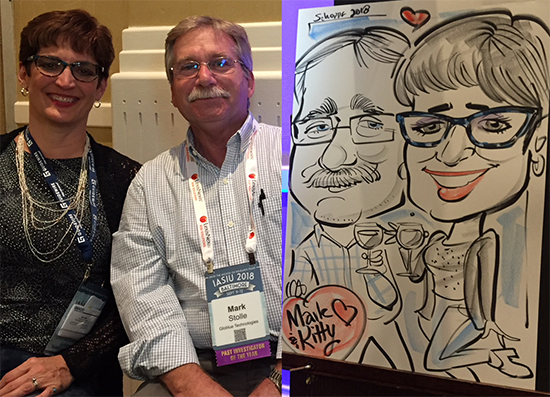 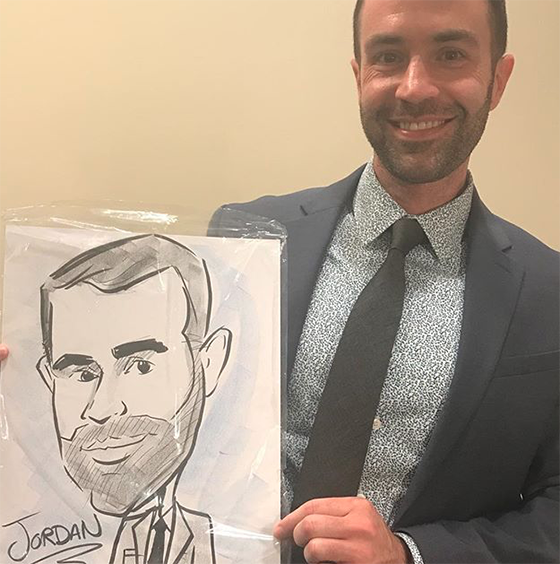 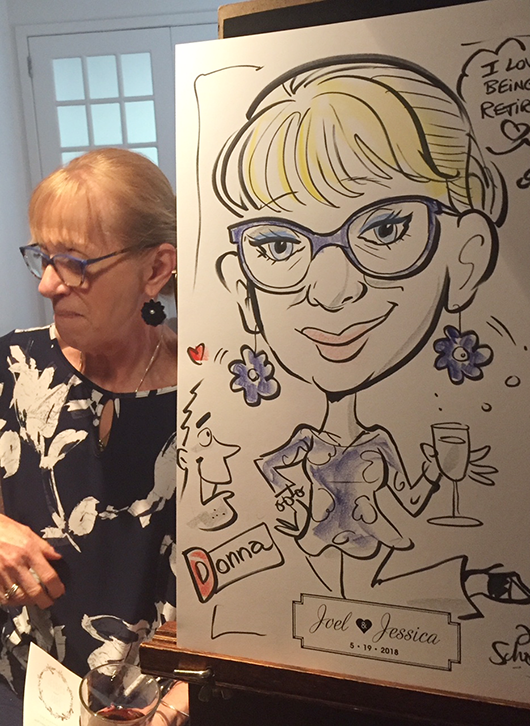 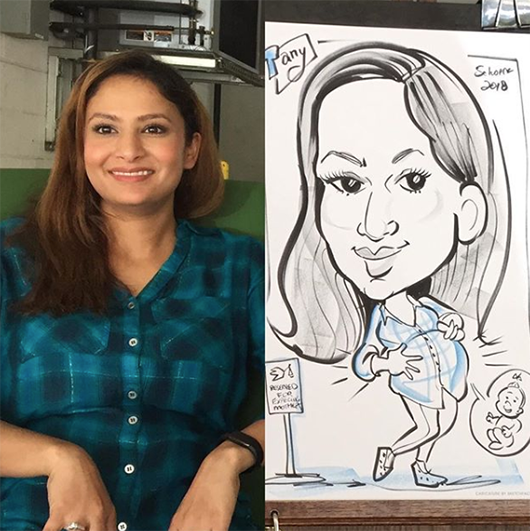 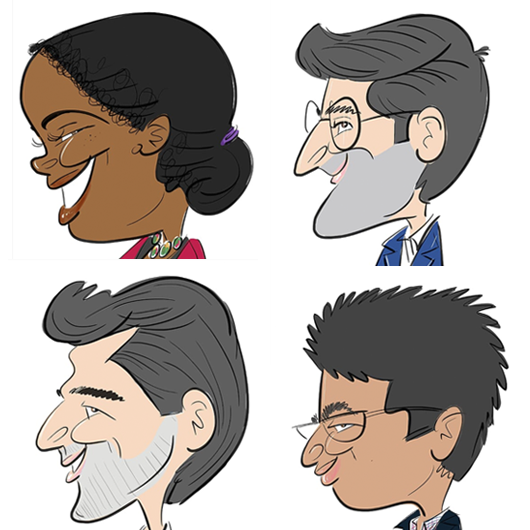 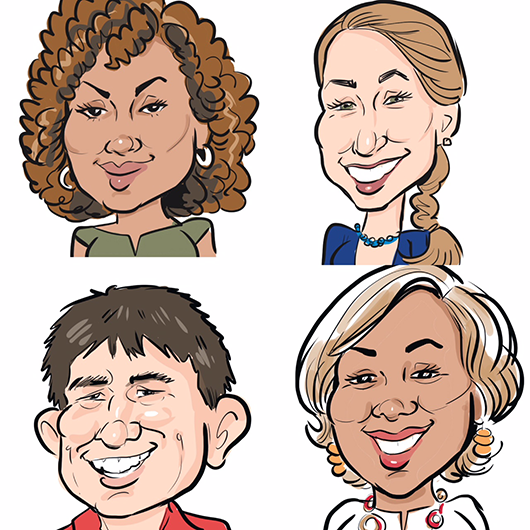 A few from an event in Philadelphia – through Caricatures by Courtney. 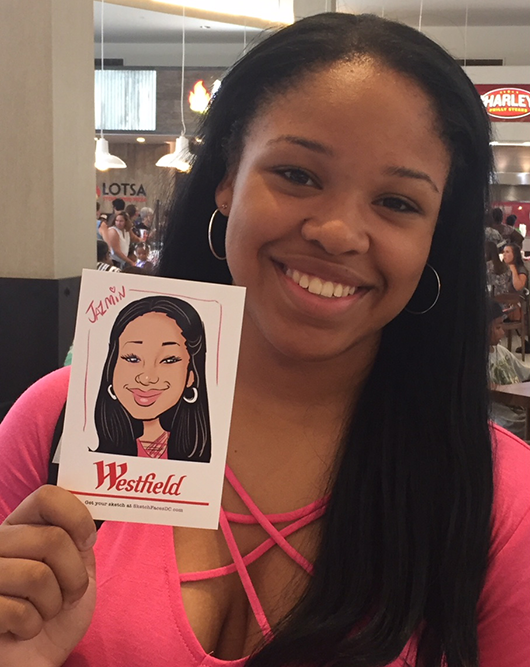 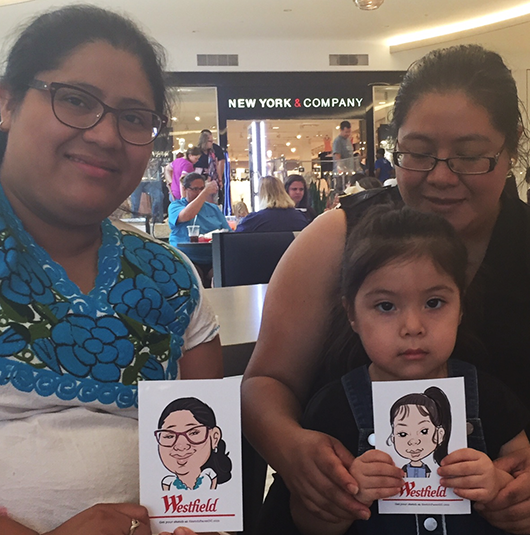 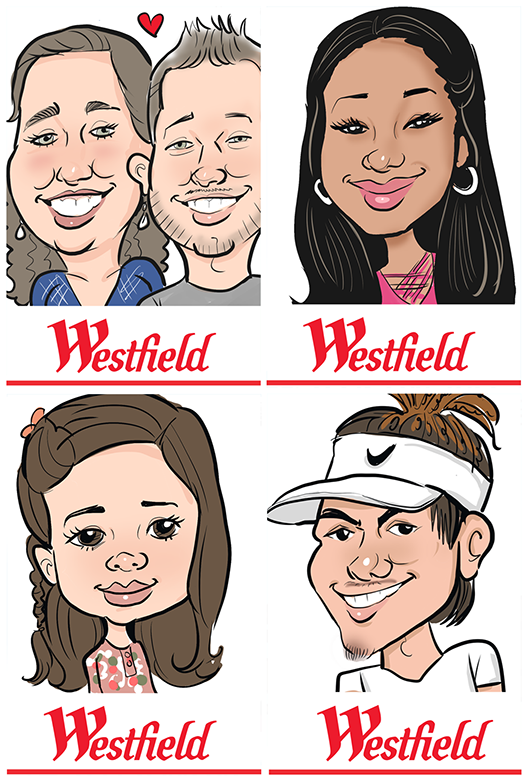 Laura drew live digital caricatures of mall patrons at Westfield Annapolis Mall for Bond Events over two Sundays in August. 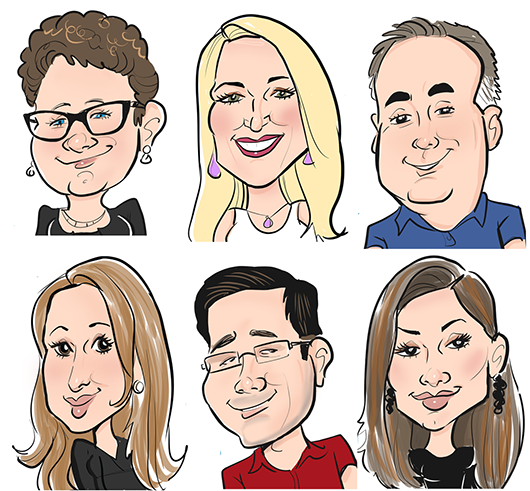 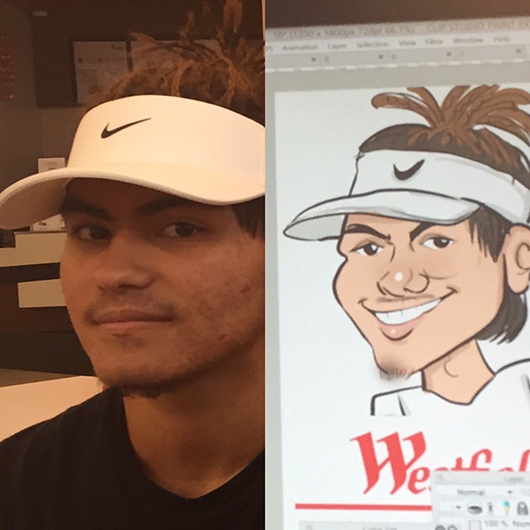 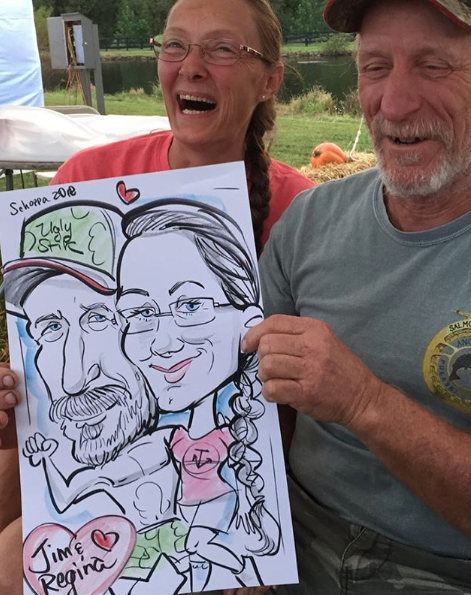 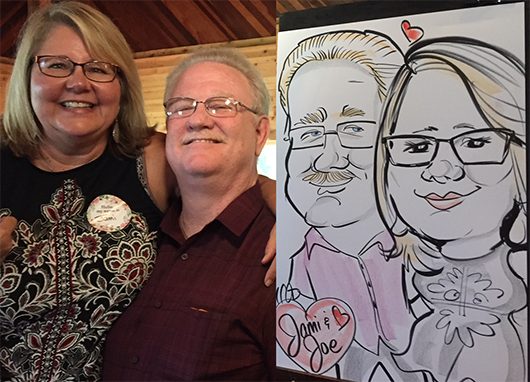 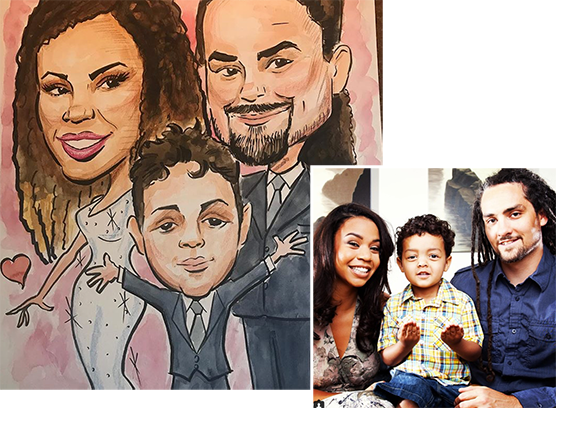 Each caricature included a logo at no additional charge. 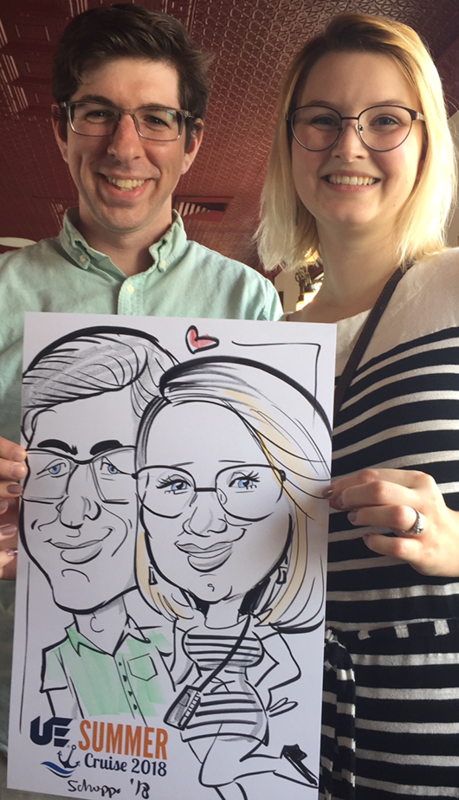 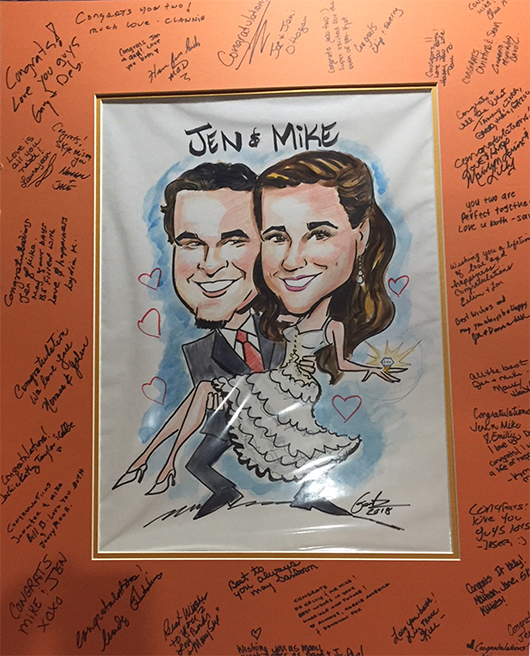 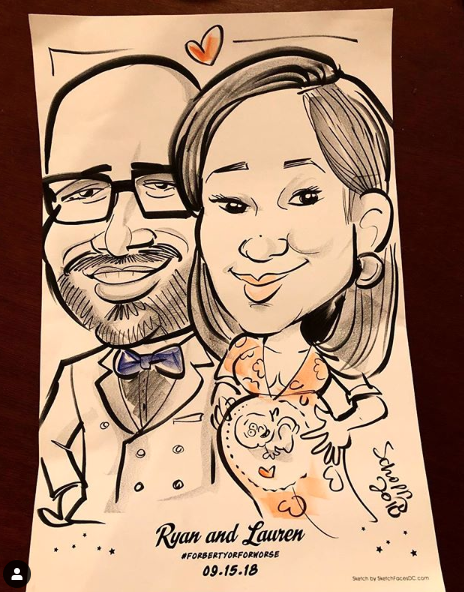 Laura drew live classic caricatures at a wedding at the Lorien Hotel in Alexandria, VA.